This walk: 2011-5-27. 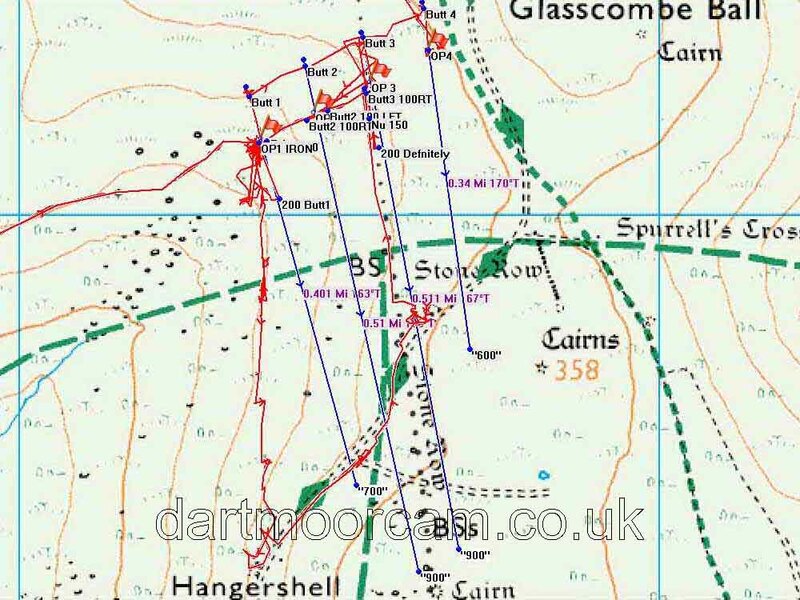 Hobajohn's Cross, Longstone, terminal blocking stones, windblown tree, Sharp Tor, Erme Valley, bluebells, Butterdon Rifle Range 1861, St. Petroc's Church, Harford,. Hobajohn's Cross, at SX 65513 60475. The recumbent Longstone, SX 6543 6074, with Ugborough Beacon cairns beyond. Terminal blocking stone(s) of the double stone rows, at SX 65042 61114. The rows are not easily seen in this area. Windblown tree with Sharp Tor behind. Piles Copse (left) and Sharp tor (right). View up the Erme valley to Piles Copse with a carpet of bluebells in the mid-distance. Died the "xxix" i.e. 29th day of October 1620 ..... 391 years ago. The parish of Harford has about 77 people. Somehow, we managed not to see Harford Church Cross in the churchyard - can you see it?! The lych gate into the churchyard. We did that later, see 2nd May 2012 - no red track (for the obvious, much wandering about, reasons) but a lot of GPS location points for the range markers that we did find (the GPS survey was actually done on 2nd June 2011). This walk was accessed by taking the road east from Cornwood, via Torr and Harford to Harford Moor Gate.